I was so happy to get the new Basic Grey (Spice Market I want it all bundle) in the mail! That same day I also got this old photo from my Mom of my Grandma, who passed away last year, and my son. It was meant to be with this page that I scrapped using this sketch. 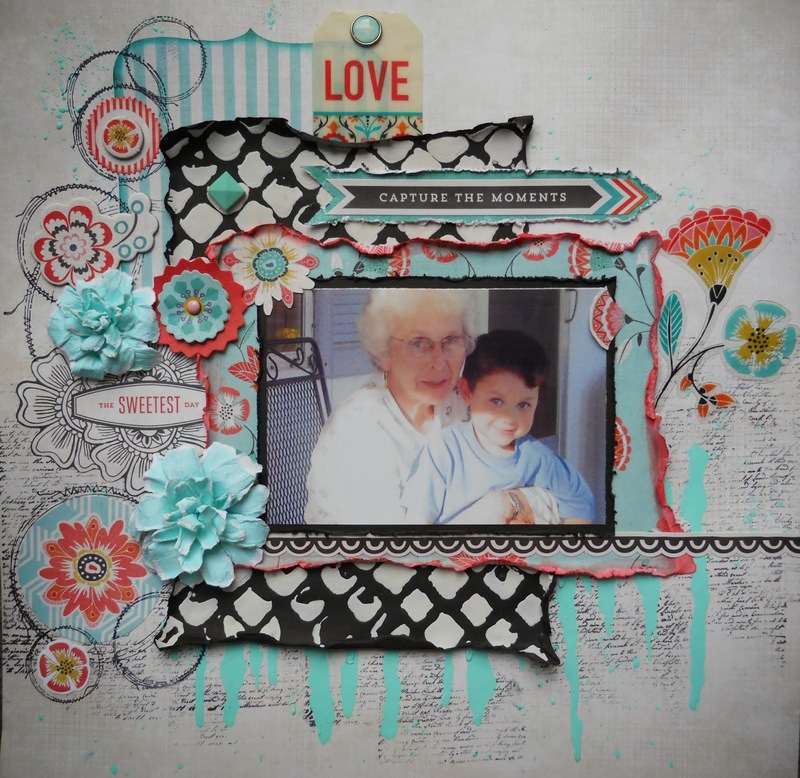 I started by stamping the background using Prima's script stamp and dripping some aqua paint over it. I also used Prima's stitch stamps for the circles. I used some gesso and the Prima Netting Stencil on black cardstock to mimic the pattern on the chair in the photo. 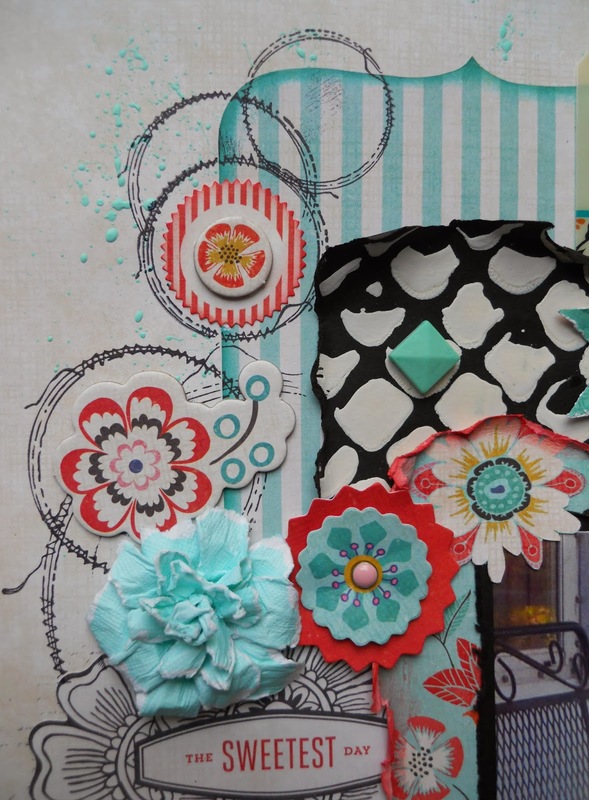 Besides the aqua flowers, which I made using my tattered and torn flower tutorial, everything else came in this fabulous bundle! Be sure to gets yours at FotoBella! Love this layout Drea, it's beautiful.